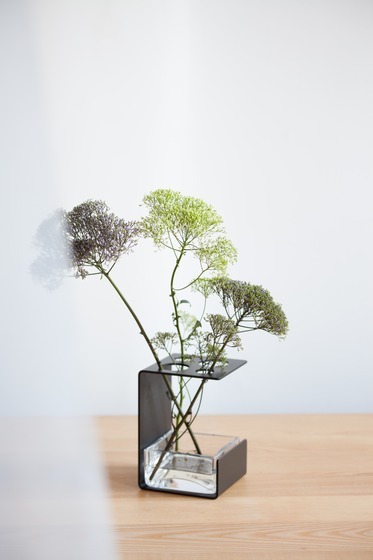 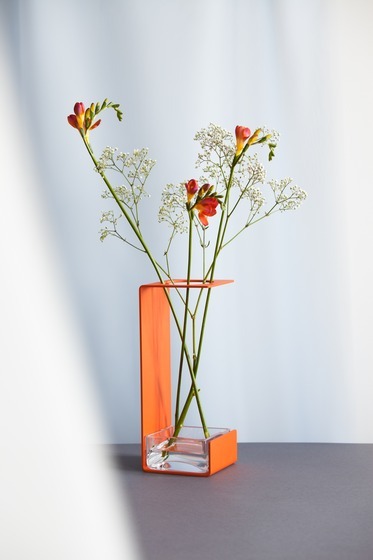 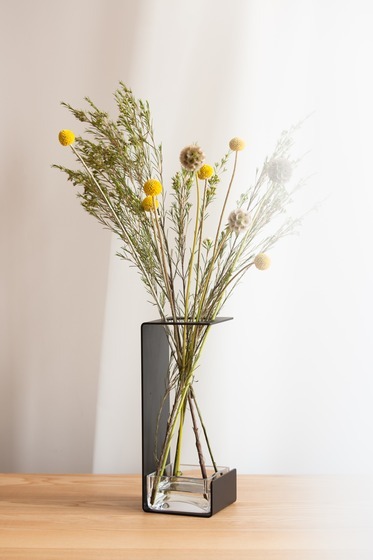 Narciss is a geometric vase series designed to facilitate striking arrangements of flowers, twigs, and grasses. 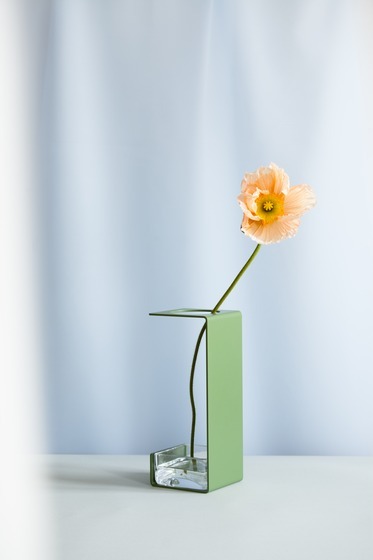 The open shell integrates a flat mouth-blown glass vessel and provides the flowers support on top. 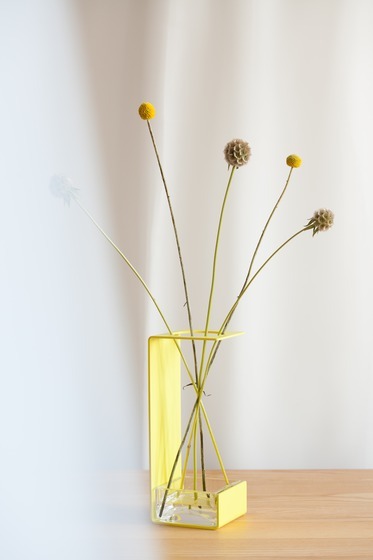 Their sleekness, bulk, and radiant colors contrast the organic and ephemeral shape of the flowers within. 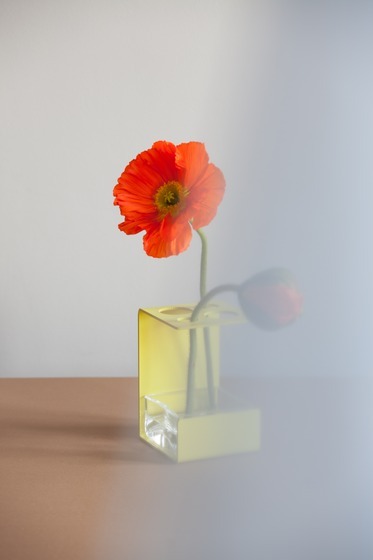 Find out more in our online-shop.